There are 2 residential sessions, one towards the end of August, and one commencing on Easter Monday. These sessions begin on Monday morning and end on Friday afternoon. Each morning there are lectures in the following subjects: Biblical Studies, Systematic Theology, and Church History. There is free time each afternoon between lunch and afternoon tea, during which men may use the sports facilities at the Conference Centre where the Course is run, or at the Bala Leisure Centre opposite the Conference Centre. Alternatively men may choose simply to enjoy the scenic beauty of the surrounding area or spend time with their families if these have accompanied them. Between tea and dinner there are lectures on Pastoral Theology (which, as can be seen from the syllabus, is widely defined). After dinner there will either be an open discussion session or a paper given on a subject chosen from a wide variety of issues, such as contemporary culture, issues of theological concern, or historical or biographical material. These papers are then followed by discussion. 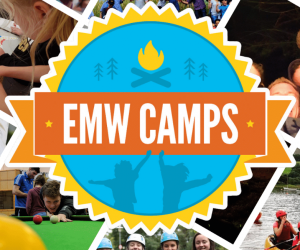 Students can bring their families on the residential week if there is space at the centre. The residential weeks are held at Bryn-y-groes, the conference centre of the Evangelical Movement of Wales.